For the sharpest style of the season, look no further than the statement pencil skirt. 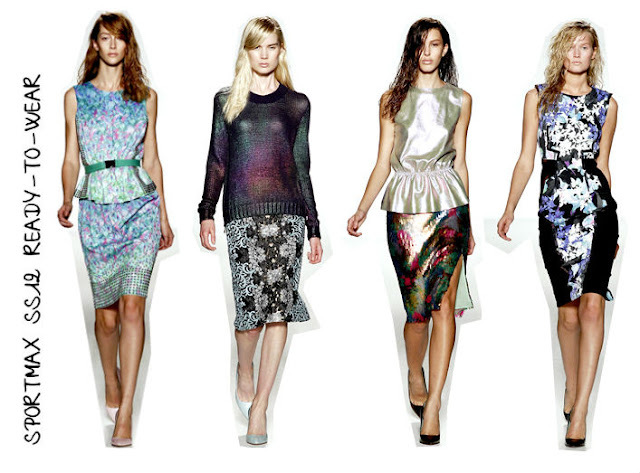 As seen on the spring/summer 2012 Sportmax catwalk, the statement pencil skirt comes in a variety of guises from embellished through to printed or brightly coloured. In the daytime, style your pencil with a sleek sweater like Sportmax's gorgeous iridescent number or make like a fashion ed and wear with a crisp white shirt. And for dusk draw inspiration from Sportmax again and wear with a cute little peplum top to enhance your curves and add some va-va-voom to your look! 1. Kaleidoscope Floral Print pencil skirt, Oasis, £45.00. 2. Flock Spot Pencil Skirt, Topshop, £38.00. 3. Kaleidoscope Print Pencil Skirt, Topshop, £28.00. Thank you to Style Servings for the heads up on skirt number 1, see the original post here. Wow, I love them all! I'm going to be keeping an eye open for a statement pencil skirt to add to my closet! The kaleidoscope print pencil skirt is AWESOME, I love it !!!! Love pencil skirts! I think they are really feminine! You have picked some great ones there! 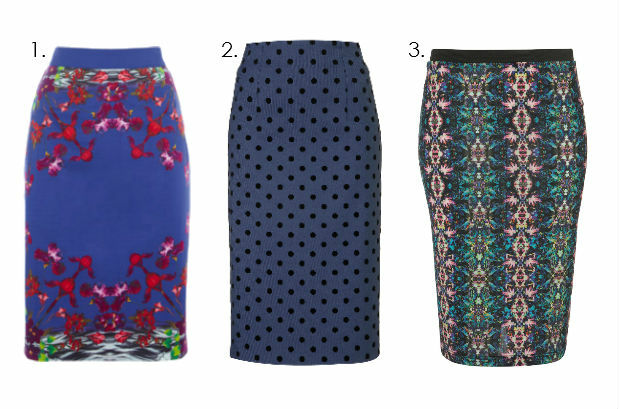 great post i love the 3rd topshop skirt!